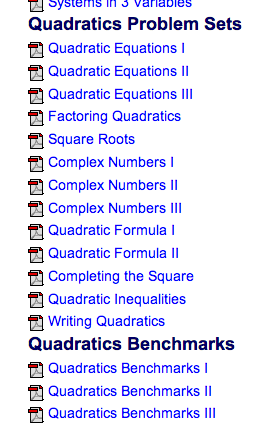 Check out the Moodle for all of our Quadratics Material. I know this follows the textbook quite well. The notes are all written by me in my own words in the hopes it might serve as an additional resource to you. p.s. If you want a challenge do Quadratics Benchmarks III.